OOC: Super short and rubbishy starter for you <3 Set not long after Asch ran into Grace? Evidence of the fire that had raged in what had once been Infernian land was still fresh. Certainly in the grand scheme of things the Coyotes’ move was recent; barely a heartbeat ago if Ascher considered how old the land itself must be. He almost felt sympathy for the charred terrain; the scholar knew better than to imbue a scrap of land with the same values and feelings as Luperci but he couldn’t help wondering how many lives had been lost in the fires which had ravaged this area. This was a bleak place, a place where Ascher had no desire to linger – but the place suited his mood. Since running into a familiar face at the bar in Amherst he had gone South, too embroiled in anger to really think it through. The Stormbringer was acting in instinct now. Logic had fallen to the wayside and for Ascher that was a rare thing. Still, his resentment of Grace, of everything she had done and everyone she’d let down in one way or another, meant he couldn’t enjoy heeding his instincts. Even the scents here made Ascher’s muzzle wrinkle, the tips of worn canines showing below inky lips in an almost fixed snarl. Anger made his teeth gnash and his tail snap against the empty air. Here was an Ascher few had seen. Black tail flagging behind her in excitement, Dreyma plunged into the cold, slow-moving river. The water splashed around her chest where the long fur curlled, and more flew up around her paws as she bounded forward through the shallows. The scaly black tail of her would-be prey streamed like a snake behind it, and she leaped into the current, paddling without fear – wanting only to move, to be. The urge to wander – no, the need to get away – had been building in the she-wolf since the birth of the pups. Anxiety about the future made her feet itch until she wore her claws down with travel, though with every step away from Cour des Miracles instinct tugged incessantly at her like a child pulling at its mother’s dress. She missed the puppies badly. Oberyn, more gold than tawny now that he was older, but his paws still four sizes too big. Issola, quiet and clever and prettier than a dream. 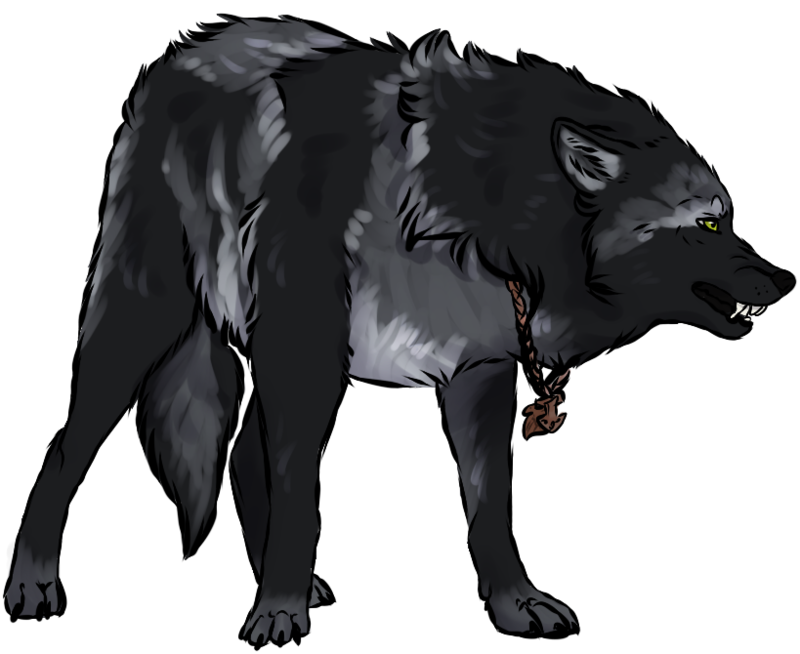 She missed them at her belly, and she missed watching them scuffle, or telling them stories in the quiet moments before Skoll came to collect them from the den. The muskrat wiggled down beneath some debris in deeper water. Dreyma shook her head and swam back to the shallows, catching her breath. She had to go back eventually. A sound cut through the quiet of the unnatural clearing, and the agitated scent of an angry male made Dreyma lift her head. Whatever worry she felt at the smell abated when she took in the familiar musk, and she began to walk slowly toward the source, her head low and her eyes hopeful but concerned. 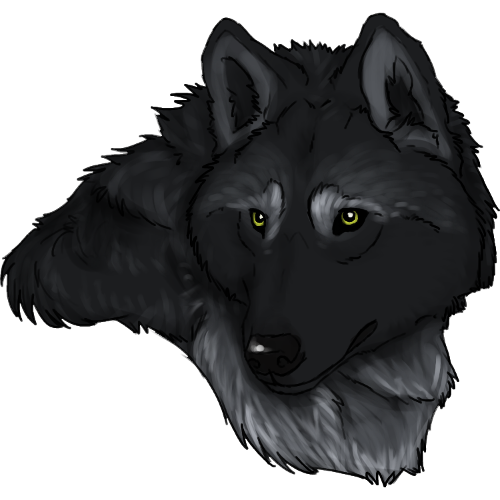 “Uncle Ascher?” the dark she-wolf greeted. Her tail swished between her legs as she took in his expression. The soft brown of Ascher’s lower legs was tainted by the charred remains of brush which had once lined Infernian territory. The clan had inhabited this area for so long that Ascher didn’t think he’d ever set foot here; that, at least, meant that he could focus on learning the terrain, ashy as it was, rather than on his own frustrations. In theory. In practice Ascher’s heart rate had risen and his breaths were coming through gritted teeth. Even the buzzing insects who would usually have plagued him at this time of year seemed wary; when a fly drifted too close the Stormbringer shooed it with a snap of yellowing teeth and a growl which felt strangely loud against the quietness of the land. A figure approached, dark as the smoke which must’ve choked the air when the fire had raged. How apt that Ascher should wind up here when he felt as if his very soul was ablaze – but when he inhaled that scent, a scent he had closely associated with Shiloh, it was like a pail of water to those flames. 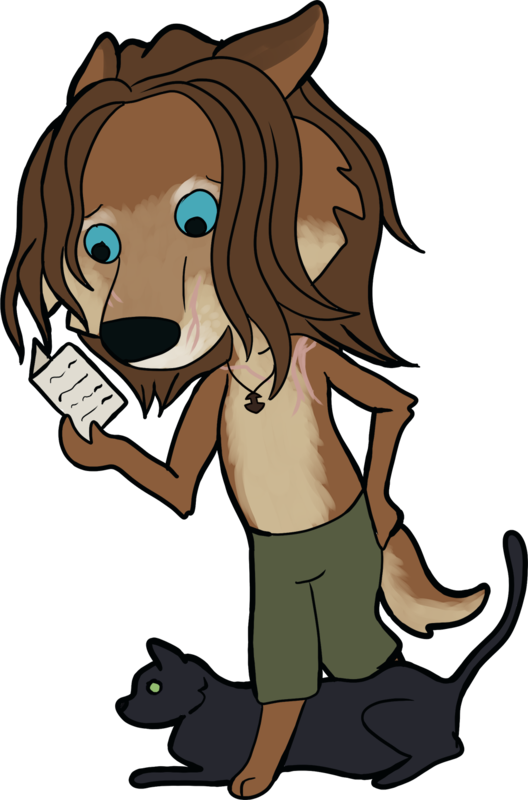 Shiloh would’ve had something to say about her gentle brother stomping around like an injured moose, he was certain. Ascher lowered hardened blue eyes to his niece. She looked different - or maybe that was just the man's shifted perception of things in the wake of Shiloh's death. His lips shifted down to conceal his teeth once more. She could not recall ever seeing Ascher like this—but the world had changed since she was a dutiful young adult in Vinatta. Shiloh was dead, and most of the Stormbringers scattered to the winds. There were more reasons to be upset and conflicted now than there had ever been. The turmoil made her stomach twist, made her feel like she was a puppy again, squalling in a stranger’s grasp, aware of little but the absence of her mother’s tender embrace. She took a breath. Even as Ascher’s expression softened, it did not lighten with pleasure, and the concern remained in her green gaze. She hesitated at his question. Even now, instinct urged her to think about her family’s feelings first. She raised her brows, adopting a tone not unlike her gently judging mother’s: “I could ask you the same.” She padded closer, leaning forward to brush her head against him. Her tail stirred again, uncertain but encouraging. Closer now, though, she was certain that he could smell her milk-scent. Self-conscious, she sat down and curled her sleek black tail against her belly. Tilting her head, she resumed studying her uncle—aware on some level that each of them was probably trying to focus harder on the other’s problems than dwell on their own troubles. “What has you so mad?” she asked: direct. 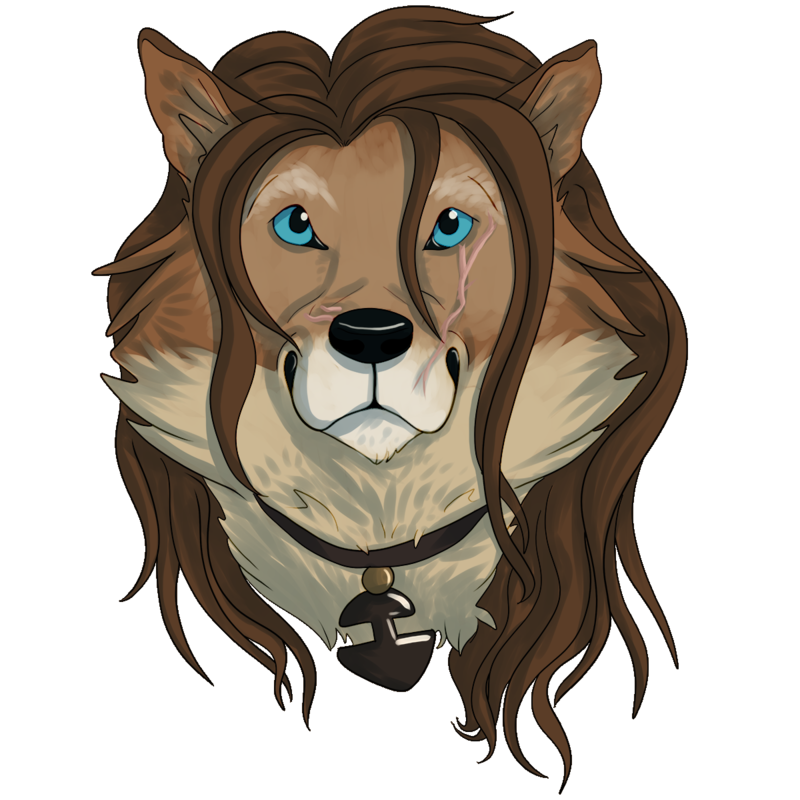 Dreyma had grown into a strong young woman – a woman who reminded Ascher of his lost sister, of times gone by and a pack which was no more. She even sounded like Shiloh in this moment. It wasn’t fair on Dreyma to associate her too much with Shiloh or Vinátta; she was her own person. Grace’s child by birth and Ascher knew that he would have to confess to her what had got him so worked up. He never had been able to deny someone an answer to a direct question. He had only ever been able to delay an honest response. She padded closer, brushed her dark head against him, and Ascher huffed out the last of his anger. The lines of his body softened. The scent of milk, of puppies, had not gone unnoticed. The man’s blue eyes drifted to the curve of his niece’s belly but he wouldn’t question her about that scent just yet. First he had to tell her about his less than pleasant encounter in Amherst. He felt guilt for digging deeper into the turmoil which had followed them all since the Winter and it showed in his gleaming gaze. His eyes slipped closed for a moment, his tail tucking. "I hate to admit it but she has an innate ability to wind me up. When I think of my children - and hers - and Shiloh..."
His lip curled but his head and tail set remained low. Guilt radiated from him. "Please don't think badly of me for being so bitter." Ascher relaxed at her touch, or forced himself to. While he was still not quite the riant man she knew, he was no longer stiff and angry. When he spoke, he sounded careful -- but one word, one name, opened a wound Dreyma kept guarded. Her eyes widened, and while she stared up at her uncle's face, his words seemed muffled in her ears. They were ringing, she realized, a terrible heat spreading from her chest into her head and rushing blood through the little veins. "Oh," the adopted Stormbringer said, and "You needn't say more." Little could rile up gentle folks like Ascher and Shiloh like the name Grace. Though she'd kept her birth mother a secret from Dreyma when she was very small, eventually the girl had had questions about where she came from, why her fur curled, why Silvano did not call her daughter. Shiloh had explained in the plain, honest way she offered hard or strange truths to the children: not patronizing, not too guarded. The white wolf had wrapped Dreyma up in her arms at the end of that talk, and Dreyma hadn't had any more questions. And for a long time -- there was no angst. It was only now, with the prospect of children unwanted, that her secret ache resurfaced. Thinking of the pups' sweet faces, she frowned too. "I don't think badly of you, uncle. Shiloh hated her and was more open about it than you are." Her lips quirked in a faint smile, a brief one. "I don't think anyone wanted to forgive her for hurting Niernan, let alone trying to crawl back for me." Or that was how Shiloh had put it, threatened by the biological mother's claim. "You're a good man," Dreyma added, rubbing her head against him again. "Don't worry."